I was wondering how people are earning money online without doing blogging or creating websites and even without giving services. 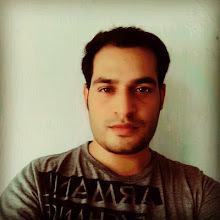 But today, I am happy to say that I know and not just this but I also teach beginners to earn online with different and easy methods for which you don't have to pay or do hard work and they can make money online using smartphone. 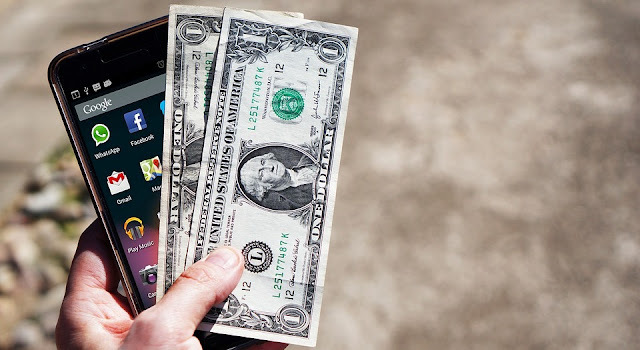 As you can see that people talk about some apps giving daily payouts or some platforms earning you dollars on daily basis, here I am going to tell you something about how you can earn money on your smartphone and do it at home. You can just signup with an app and start working on micro tasks which will earn you cents and dollars. This an application about micro tasks and small works. On this money making app you can easily get gigs to work on and give the required data to make easy money. There are many shifts available in this app like seeing a product in stocks, uploading product photos at displays or checking the prices in physical stores. Evey completed shift or micro task will pay you dollars ranging from $2 to $20 and you can get pay via PayPal within 2 business days after the completed submission. The most interesting application for smartphone users (android and iPhone) to make money online and while on the go. You can walk and enjoy while earning money. All you have to do is install the app and register for a free account than apply for an assignment and than you will get to complete the specified task which will be in categories like verifying street signs and roads or doing the same with transportation and landmarks of many US cities. If you want to be a part of Gigwalk’s workforce than install app now. The next thing is here as Lyft is the on demand taxi app which is making people' life easier by giving them the opportunity to be a driver and be a passenger with just one click of their fingertips. All you have to do for earning money on Lyft is download and install the Lyft mobile app and register as a driver, than submit the real documents like your license and ID to verify that you are at-least 21 years of age and have a fresh vehicle (car) with a minimum model of 2001 or above. With this taxi on demand app you will be able to pay nothing and get paid up to $35 per hour or even more. You can get paid each week. This is an interesting app allowing you to have fun and free rewards which you can spend as gift cards with Target, Walmart, Best Buy, Starbucks and other stores and shops. The only thing you have to do is use the app and it will give you a task which you have to complete. Basically its a secret shopper app and you will be asked some questions for each task which you will answer and someone will review your submission, after each accepted submissions you will get some points and than those points can be traded as gift cards and the app is available for every smartphone running iOS or Android operating systems. If you don't want to complete tasks and work for earning money online and want to get paid just by watching videos, answering to questions, surfing different websites with their toolbar or of-course completing very small tasks than here is an app called SwagBucks which you can easily use at your desktop or any other device like your smartphone. You can also just signup and refer your friends to this platform and you will start getting commissions from their earnings. You will earn SB points that can be redeemed in gift cards to different stores and shop or you can get them as dollars in your PayPal account. The cool thing is you will get $5 as a bonus for creating new account. If you are a TV lover and love to listen to the music than Viggle is for you as its a different platform which is paying you money just for the time you watch TV or listen to music with this app. You can start it but just installing this money making app on your android or iOS mobile phone and hit the viggle button to start watching TV or listen music and it will start rewarding you with points which you can than redeem at Foot Locker, Best Buy, Groupon or any other big brands. If you are a fan of an app which can give you the freedom to have some Amazon gift cards or other stores gift cards than CheckPoints is what you will love to use. You can start earning points by taking quizzes, searching the web, scanning barcodes and watching videos (advertisement). Its legit app to make money with your smartphone. Always try new apps on your smartphone? and love trying new apps about everything? than you can get paid for this hobby as you can install App Bounty an app which is rewarding you with money just when you download new apps from the app. You can also get paid with points by following them on Twitter or liking them on Facebook and that points can be redeemed at Amazon, iTunes and Xbox Live too with several other services. Using this app you can easily make money with your smartphone. The most exciting thing before you buy anything is how you get the cash back doing nothing but just buying things you have to buy for yourself. The Ibotta app can lead you to get quick help for getting cash back on your purchases, all you have to do is just complete tasks from your favorite brands and services than go to shopping malls like Target and Walgreens then take some photos of your receipts and upload in the app. After confirmation of your verified purchases you will be credited with cash back and get it in cash via PayPal account. Not just that you can earn more by referring your friends. Are you in hurry to sell your car? and searching for the ways how you can make money with your smartphone? if this is the situation and you also want to sell your car in good price than here's an app called Blinker which can help you sell your card quickly by posting your classified ad to all other major websites so you will get offers quickly. You can just add the promo code when listing your car "HOLLY HANNA" and you will receive a free of cost $200 reward when you are done with selling your car. This is cool nah? If you can sell women's fashion related things like shoes, handbags and clothing with other accessories than Poshmark is here for you to give you the opportunity to sell these things online. They will bring the customers to you and you can than send the item to the buyer. In return you will receive 80 percent of the actual sell price. Its just that easier. You easily get by direct deposit or receiver a check. You can run the app on your smartphone and make money online. Another taxi on demand service with smartphone app that is available to the passengers and drivers whenever they need it. You can be a driver at Uber by installing the application and sending your data to them. They also have their own cars which you can rent or otherwise you can use your own car to driver with your selected hours and make some extra money. Its legit and working in many countries so give it a try. You can get paid on weekly basis. If you are a purchasing master and make all of your purchases online than Drop is for you, as with this smartphone money making app you can earn points on your shopping at many stores. They give points for each purchase you made and 1000 points makes $1 for you, you can also refer a friend and earn $1 per referral without any other work or purchases. When you reach enough points you can redeem gift cards fro Amazon and other stores online. If you are in US or Canada than your are the good candidate, go and check it out. A Photographer with your iPhone? and looking to sell your photos online and get paid for each sell? You can use Foap and get paid just by taking photos with your iPhone and then uploading them to Foap app. You will have to take great photos as on the app you will have to pass a small test of their users, as when you upload photos you need to have 5 good reviews by other users and than your photo will be uploaded to the stock so that people will start purchasing it and you will get paid with $5 per purchase of your photo. You can cashout the earnings via PayPal account. If you want to meet new people everyday and deliver them what they are seeking than you can use DoorDash as a delivery driver. As they are hiring people to be there delivery drivers and use whatever they can use for making deliveries on daily basis to their locals. All you have to do is just signup with the app and wait for the approval than get assignments to complete and get paid on weekly basis via direct deposit. Its like some other great applications as you can earn money and enjoy visiting the local and your favorite stores like Exxon, Old Navy, Target and more like them. For each visit they will ask you to send scanned images of barcodes for different products and you will earn kicks. Kicks are points which you can exchange for gift cards and buy things you like. This is a trusted money making app which is enabling you to earn money with your smartphone. 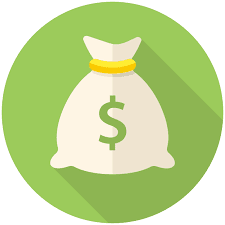 This website is relative to the above one and you can use it for free to earn extra bucks by completing small and simple micro tasks. They will pay you for each job you do up to $12. You have to complete several tasks and work as much as you can to make sure you are earning well and able to pay bills, you can than get paid via PayPal account and its a legit app. The most easiest way to earn money online and with your smartphone is being able to take surveys or just do the routine wise shopping and take snaps of receipts than upload them into an app. You can do it with Receipt Hog which is paying you virtual points for each of your receipt and you can then convert or trade that points into Amazon gift cards or PayPal cash. If you can earn 1000 points then it means you are earning $5 so go to any store near you and buy anything than upload receipt to this app. Its an app which is changing people' lives and we should use this to earn extra money when we are not using our vehicles (cars). You can download and install the app and get your car registered, after that you will be able to get paid for putting your car on rent for several hours a day and when you are not using it. Renter will be able to unlock your car via app and you can give these access. It is the easiest way to earn money with your car while you are not going to be a taxi driver. This is last but not least, as its from the jobs website called Indeed. Which is a legit website and providing quality job alerts to thousands and thousands of people on daily basis, they are expanding their services even more to give you more ease of searching every type of jobs online. You can go in your street and markets to know who is hiring shopkeepers are helpers or more staff in a physical store or shop and upload the images to the app. After every successful submission you will earn points and you can redeem that points with Amazon gift card. If you think that this list is not enough for you to earn dollars on daily basis and make money with your smartphone than you are free to write in comments form below, or just wait and keep on visiting us to get more work from home jobs update here. Thanks for the read. Stay Active to Get More Ideas!